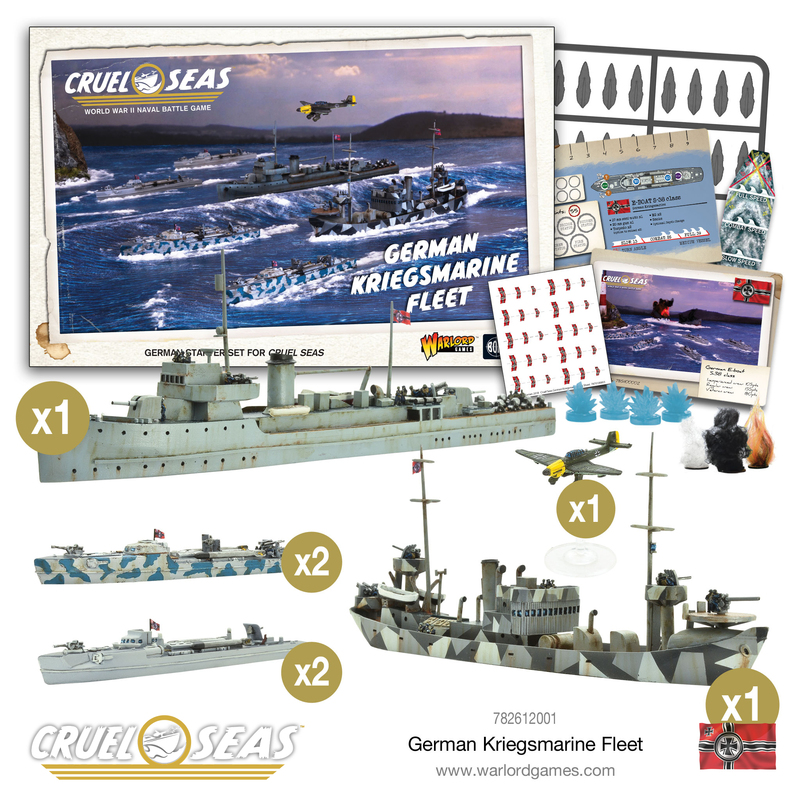 Trumpeter is a world-renowned company when it comes to Naval models and these particular ships are crammed with detail! 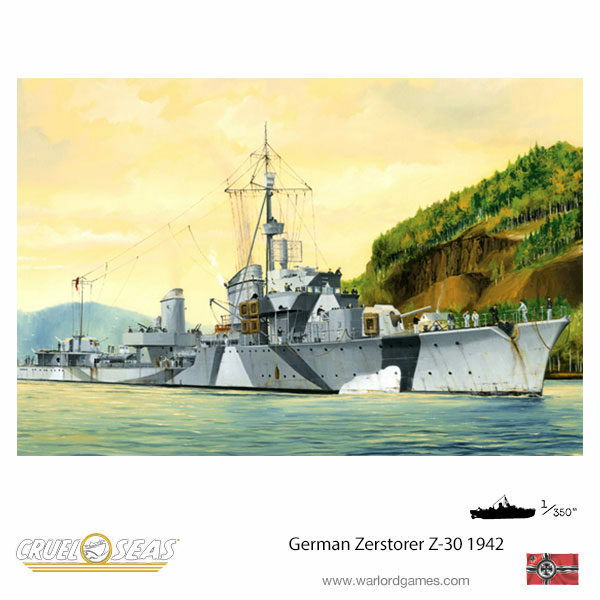 Challenge your skills with the German Zerstorer Z-25 1944, Z-30 1942 and Z-43 1944. Z-25, a Type 1936A destroyer, was commissioned on November 30th, 1940. During the war, her forward gun was replaced by a twin turret and the anti-aircraft armament was increased. In operation Cerberus, Z-25 and a number of smaller ships supported Scharnhorst, Gneisenau and Prinz Eugen sailed from Brest to their home bases in Germany via the English Channel. Despite British attacks by the Royal Air Force, the Fleet Air Arm and Coastal Artillery, all the ships had completed their transit. 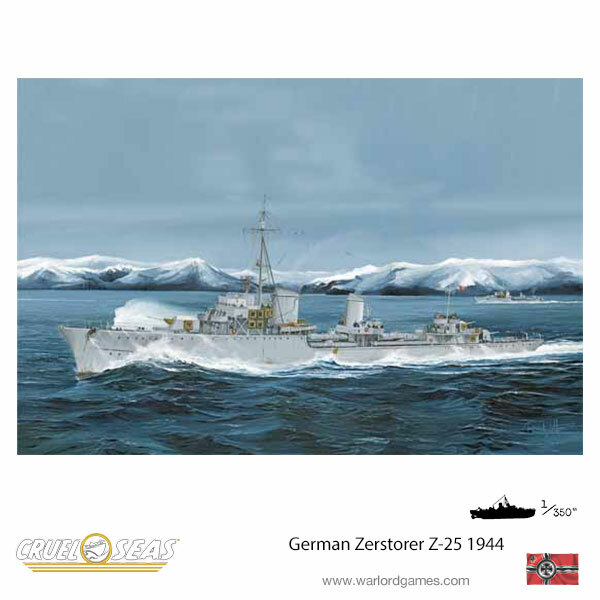 In March 1942, Z-25, Z-24, Z-26 and U-boats intercepted PQ-13 which was a British Arctic convoy. The Germans sank 6 transport ships. From late April to early May, Z-25 attack convoy QP-11 together with another two destroyers. HMS Edinburgh was sunk as while as a transport ship. She was taken over by France after the war and Scrapped in 1958. 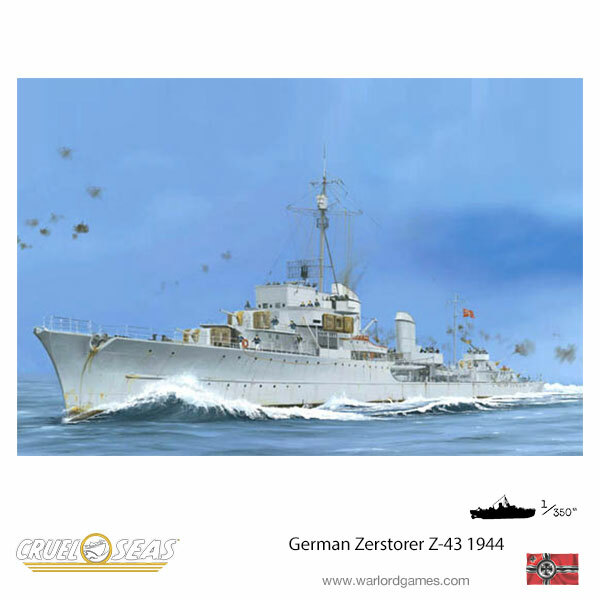 Z-30 was one of German navy Type 1936A destroyers. The rationale for Type 1936A destroyers was influenced by two factors, the need to deal with the superior numbers of British destroyers and the potential need to fight the French Navy which possessed several types of oversize and powerfully armed destroyers. The design followed closely behind the Type 1936 and shared many of the same features. But their bows were more flared and in terms of armament they were closer to light cruisers than the typical destroyer. The use of 150 mm guns was atypical of destroyers which tended to have guns around 120 – 127 mm in calibre. The power plants were still as unreliable as in the previous types and the tonnage increases resulted in a slight decrease in performance. In December 1943, Scharnhorst and 5 destroyers (Z-29, Z-30, Z-33, Z-34, Z-38) were ordered to seek out and destroy the Convoy JW55B. Later, destroyers had been ordered to return for some reason. Z-43 was commissioned on March 24th, 1944. She was a Type 1936B destroyer. Three ships of this class were commissioned. The rest two were never completed. Type 1936A destroyers were intended to carry their forward guns in a twin turret, but as the twin turrets were not ready in time they initially carried single mounted guns. When the turrets were finally fitted they proved too heavy for the existing structures. Strengthening was added at the bows but this did little to improve seakeeping qualities. For these reasons, the main armament of Type 1936B destroyers reduced back to single mounted 127 mm guns. The efficacy of this change was not proven in high seas as this class only operated in the Baltic and coastal waters. The mighty fleet awaits your command, Step on board your M-class minesweeper and take to the Cruel Seas. The post German Zerstorer Z-25 1944, Z-30 1942 and Z-43 1944 appeared first on Warlord Games. Warcradle Scenics: New Hero Tokens!